LucasArts and Traveller’s Tales have released a further trailer for the upcoming LEGO Star Wars III: The Clone Wars, providing an insight as to what players can expect from being able to once again return to the galaxy far, far away. LEGO Star Wars III is set to include all the characters from both seasons of the hugely popular animated television series, Star Wars: The Clone Wars, and is set to feature brand new battle modes, head-to-head combat and an upgraded level builder, which now allows the creation of customised bases and in-game battlefields. Players will also be able to side with either the Jedi or Separatists as they tackle all-new character abilities such as Squad command, Lightsaber slicing, Lightsaber jumps, long distance Jedi attacks and Grapple Tie-Ups. 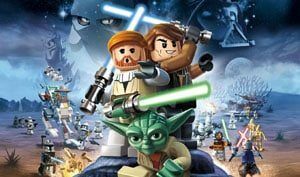 LEGO Star Wars III: The Clone Wars is due to launch alongside the Nintendo 3DS on March 25th across Europe, and is also set to be available on Wii and DS.